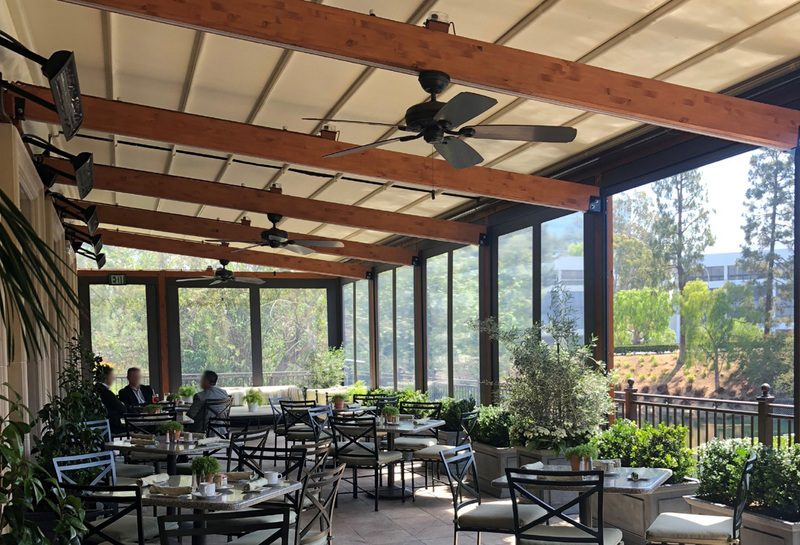 The nationally recognized Pacific Club in Newport Beach, California is one of the most presigious private city clubs devoted to serving its exclusive Members in an environment of comfort and elegance. 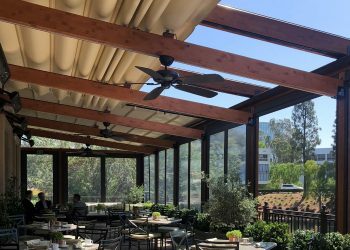 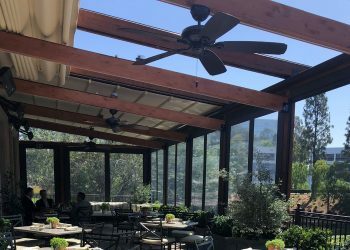 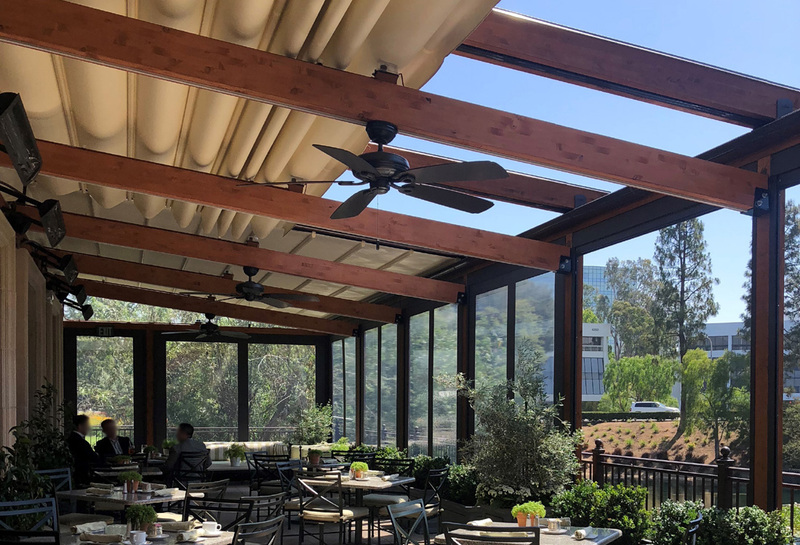 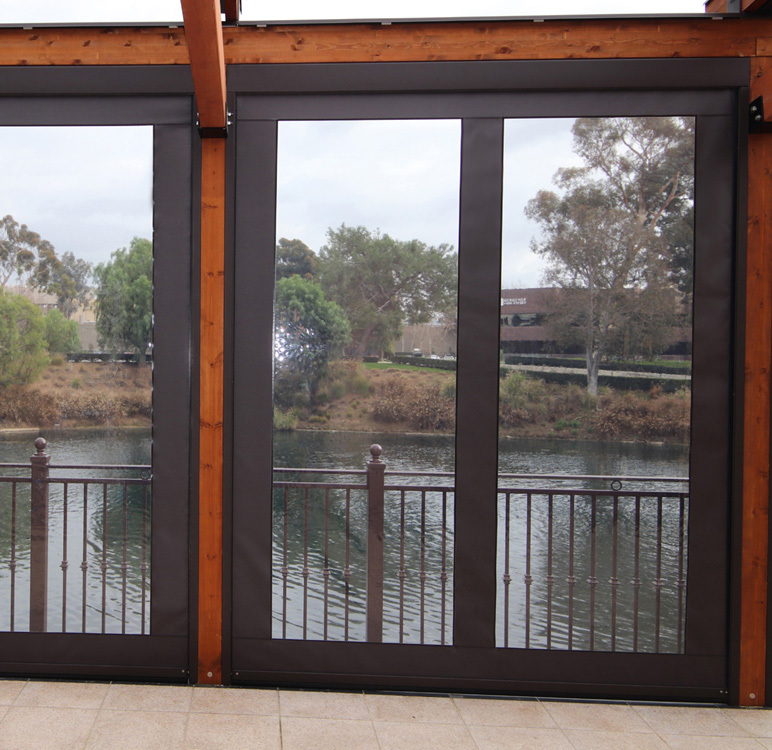 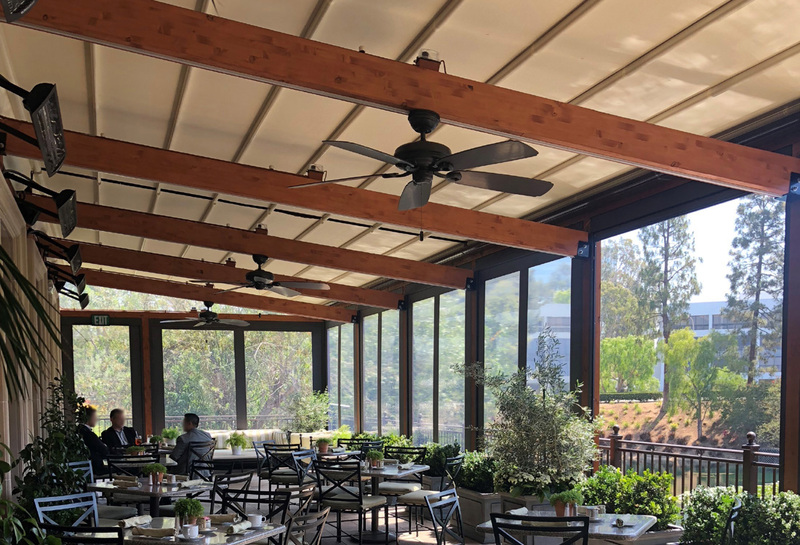 Eide Industries was hired to custom design, build and install a retractable roof system over the outdoor patio dining area to provide protection from the elements for Members and distinguished Guests. 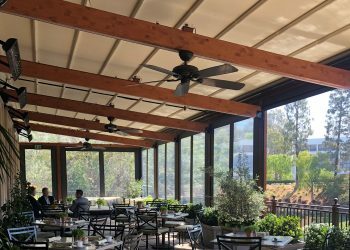 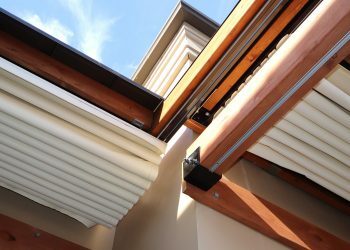 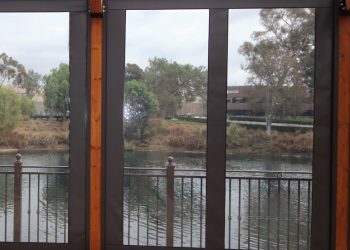 The ideal solution was to fabricate a Retractable Roof Canopy consisting of three (3) motorized systems with traversing curtains mounted to laminated wood frame structures covering approximately 1,150 square feet. 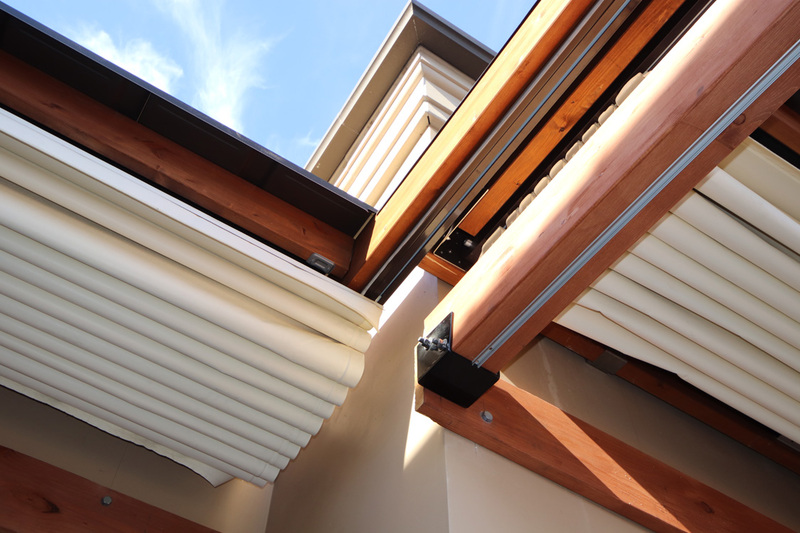 Engineered for 110 MPH wind loads a total of eight (8) slide-on-track bays, and ten (10) vertical zip-shades enclose the patio.